Dock Artisan is the kind of company that understands the value of hand-crafted products which support a sustainable future. They create iPhone chargers and accessories made from sustainably harvested wood which they gather from nearby California forests and beaches. Founder Joel Young leads a team of skilled Artisans who love to work with their hands and employ their creative minds. They construct Docking Stations, Rare Audio Works, and Artisan Cases for Apple Devices. Their company philosophy is also very similar to Apple in that they that seek to deliver products that are long-lasting and of the highest quality. The Dock Artisan history began on a very chilly October evening in 2011. An idea was birthed while Joel was holding a piece of Oak firewood. On that night, he put aside a very beautiful twisted chunk of White Oak that was meant to go into the fireplace. The twisted piece of wood came from a large Oak that had fallen down on his mother’s property during a storm nine months prior. That night the idea to merge technology with nature was birthed and he began experimenting on more Oak wood chunks that he had in the woodpile. After making a few for himself and some friends, his wife Iris suggested opening up an Etsy shop. A shop was formed and within a few weeks all of the first 15 wooden docks had sold out. It didn’t take long to see that the idea was a hit and he started making more. Over the course of 2012, Dock Artisan continued to grow gaining exposure online and was a featured shop on Etsy. September 2012 marked the release of Rare Audio Works, a new line of small batch handcrafted speaker products. So far they have used Bamboo, Redwood and Driftwood as the speaker housings. Fathers Day 2013 marked the release of our new product line, Artisan Case. Their first Case is a Leather Wallet iPhone Case with a detachable magnetic inner case. 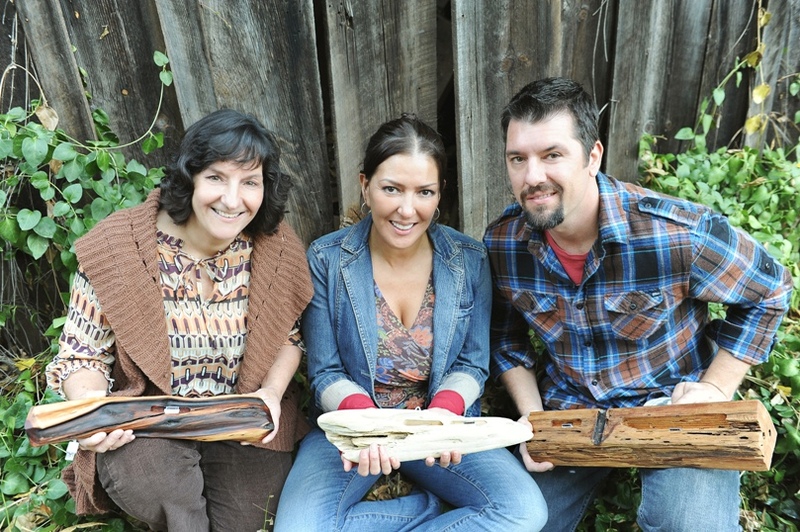 Dock Artisan believes in natural selection when it comes to harvesting their wood. They let nature determine what wood they work with and when. Every dock they make is an original, one of a kind treasure. They harvest all their wood species from the California Sierra Nevada region from fallen trees, re-claimed, re-purposed, and standing dead trees. Every year storms come through the Sierra Nevada Mountains and blow over trees and break limbs. They give this wood a new life with a purpose. Dock Artisan has worked with many individuals and organizations on custom design projects for the office or home. They are happy to work on small or medium sized projects as well. Be sure to keep them in mind as you continue developing your own creative home living space.